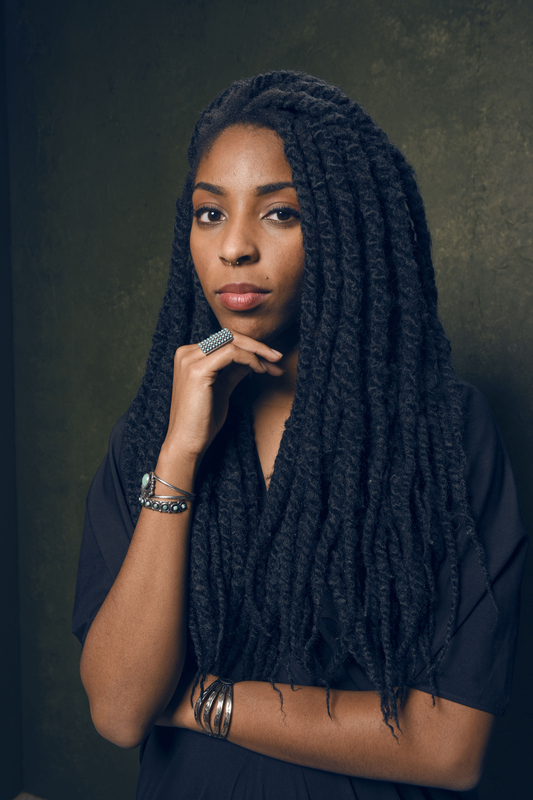 I don't know about you, but the only thing keeping me even vaguely invested in The Daily Show following the news that Jon Stewart is stepping down as host is the hope that correspondent Jessica Williams will be taking over for him once the big day finally comes. For decades, Stewart has entertained and educated us, not to mention pioneered the career of fellow edutainmental fake news anchor Stephen Colbert, and those are pretty big shoes to fill. While all of the correspondents have their merits, to me, there is no one more qualified than Williams for various reasons — but Williams confirmed on Twitter that she wouldn't be taking over for Stewart and thus dashed all of my hopes and dreams. When it comes to the race for new Daily Show host, Williams has three big things working against her as far as the tradition of the show goes: she is female, she is a person of color, and she was the youngest person ever to be hired as a correspondent. However, despite her youth, Williams is not only famous for her feminist sketches, her on-point sense of humor, and her willingness to tackle the big minority issues but also for her intelligence and her boldness. However, it is the last point that works against her in this instance. As any young person can tell you — especially myself, since Williams and I are almost the same age — this is a pretty common feeling even if politics are not the catalyst. Whether the correspondent meant that she needed to be sequestered from the world for fear of saying a lot of things on the air that she would inevitably come to regret and that she would anger a lot of people with, or she meant that she would lose all faith in the world and needed to curl up in a dark room with some Coldplay music until she was fit to be on air again, that's an emotion that we can all relate to. Especially when you consider how disappointing, frustrating, and even outright alarming politics and the news can be. After all, Stewart does not simply make fun of the news. He does quite a bit of that, yes, but he also does a lot of thoughtful commentary, interviews, and lampooning of everyone and everything that makes an incomprehensible move in the political sphere — whether he otherwise agrees with that person's politics or not. The correspondents, on the other hand, are largely there in order to poke fun at the news through their well-thought out sketches that take a single, meaty issue and transform it into a hilarious faux news segment that cracks you up while it's making you think. It's completely logical that Williams would think herself more suited for the latter than the former at this stage in her life. So, while it is a crushing disappointment that Williams won't be filling that chair just yet, it's great to hear that she plans on sticking around and it will be even more great to see where her career goes from here. Hot Tub Time Machine 2 predicted that Williams would be the host of the show by 2025, and there's still plenty of time for that to happen. After all, while Stewart hosted the show for 16 years, the show's original host, Craig Kilborn, was only the host for two years before retiring. Whoever does end up taking over from Stewart might just end up being a stepping stone between Stewart and Williams, not because they're bad for the show but because all Williams needs is time and experience. If Stewart can retire before his time, anyone can — even his replacement. The Age of Williams is nigh, you guys. However, even if Williams hosts the show by 2025 or never at all, the excitement, humor, and intellect that she brings to the show as a correspondent is undeniable. If you are asked if you are going to fill the shoes of Jon Stewart so often that you have to actively address all the rumors — especially when you're not even close to your 30s yet — then you know your career is in a great place.